Retractaline is a market leader in the design, manufacture and supply of a comprehensive range of laundry care products and accessories. Founded in 1985, the brand has established itself as a South African icon, and has supplied the leading retail and hardware stores for 33 years. Enjoying over 80 percent market share, a Retractaline product is found in the majority of South African homes. 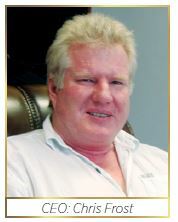 Company owner, Chris Frost says, "There are very few households in South Africa that do not have a Retractaline product. It is the first thing I look for when I visit a home." 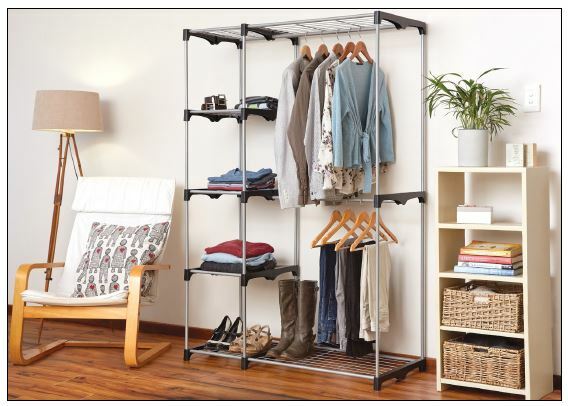 These products include: rotary clotheslines; retractable clotheslines; wall mounted dryers; clothes airers; ironing boards; and laundry accessories including pegs, laundry hampers and bags. Driven by the need to expand, the company relocated to, and started operating from, the Dube Trade-Zone on the 1 December 2015. Frost said that highlights of the past two and a half years have been commissioning the plant and seeing the in-house plan come to fruition. He added that the company is now reaping the benefits of the move and strategic decision to reverse integrate all manufacturing processes, which has enabled the business to become internationally competitive. Frost explained, "I realised that I needed to ensure that my products were competitive as an import replacement option for local retailers' own brands and as an OEM export manufacturer for large international retail groups. We had to cover a wider range of price points in order to regain and grow market share." He added that he had to get ahead of the game and make decisions based on the economic climate. In order for local manufactures to compete in a global market, it is necessary to invest in premises, plant and equipment. The strategy is reaping benefits, leading to explosive growth in the local market and advanced negotiations with international giants such as Ikea of Sweden. The various advantages of building premises at the Dube TradeZone, which has been declared an Special Economic Zone (SEZ) include tax benefits, the accelerated depreciation of assets, employment incentives, as well as a 98 year lease on land. Not having to pay for the land up front also ensures additional capital is available to invest in plant and equipment. As an owner manager dependent on utilising restricted capital, this move was described by Frost as 'a no brainer' with great cash flow benefits. His success has seen him buying adjoining factory sites in order to expand his business further. 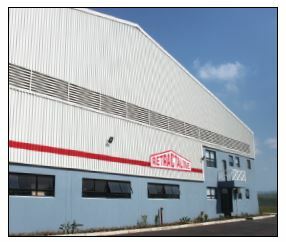 Two additional buildings were completed at the end of 2017 and provide him with an additional 5000 square metres of factory space. The expanded factory size has allowed Frost to extend his range of designs and laundry solutions and stepup production. A main focus has been to ensure that Retractaline is able to pursue a no outsourcing strategy with as many components as possible being manufactured in-house. Innovation has always been a key component of the company's success in producing quality, durable, and reliable laundry products. Frost describes himself as being hands on in the in-house development stages and he will continue to support product expansion. The manufacturing process is handled by a very competent team led by the factory manager, Anand Haripersad who has been with the business since inception. The local community has benefited well from Retractaline's presence at Dube TradeZone as a source of employment opportunities. At the time of the move to the new premises, the company doubled its workforce and has now increased the employee numbers to over 70. The staff complement currently includes administration and sales staff, packers, assemblers, key machinery operators and engineers. The company prides itself on its skills training programmes, which are conducted in-house to suit the product development and manufacturing processes. "An advantage of being an owner manager is that you can make decisions and act upon them quickly," said Frost. This offers a competitive edge over cumbersome corporate entities decision making and implementation, as "speed to the breakdown" is essential to win in a rapidly changing market. The ability to be responsive to market needs has ensured that Frost is a market leader in his field and is in the right place to meet current economic trends with assurance.